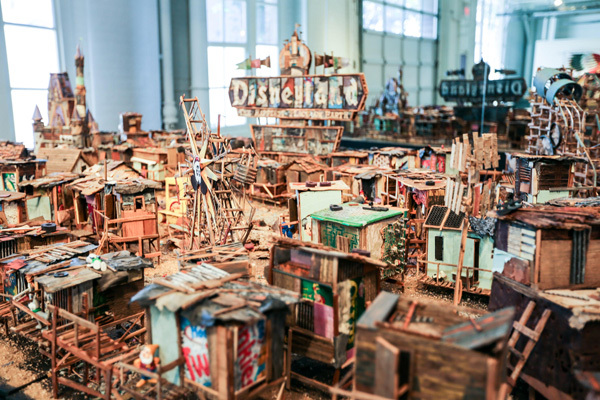 Littletopia was conceived by Red Truck Gallery founder Noah Antieau and Juxtapoz Magazine co-founder Greg Escalante as a showcase of the best and brightest from the lowbrow and pop art movements, which originated here in Los Angeles. 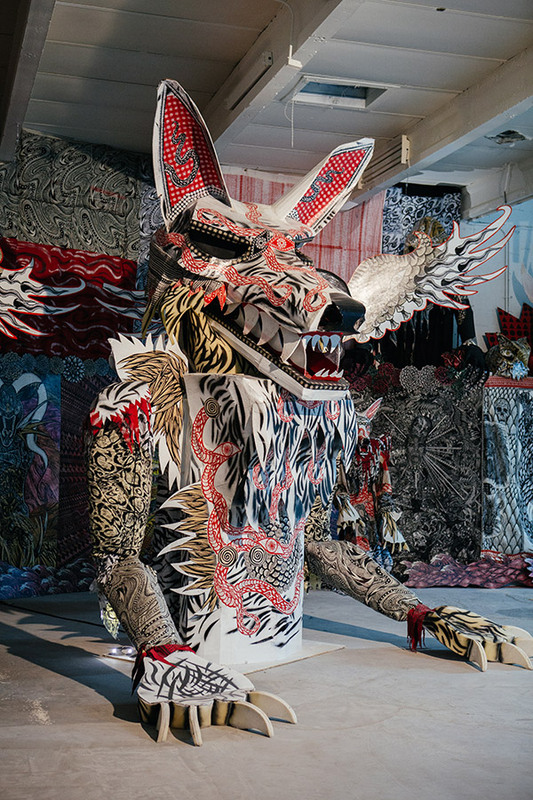 One of the only shows in the world to devote so much programming and space to this kind of work, thousands of attendees pass under Littletopia’s custom archway each year to enter the LA Art Show’s mecca for imaginative, new contemporary voices, and honor the visionary artists who came before. 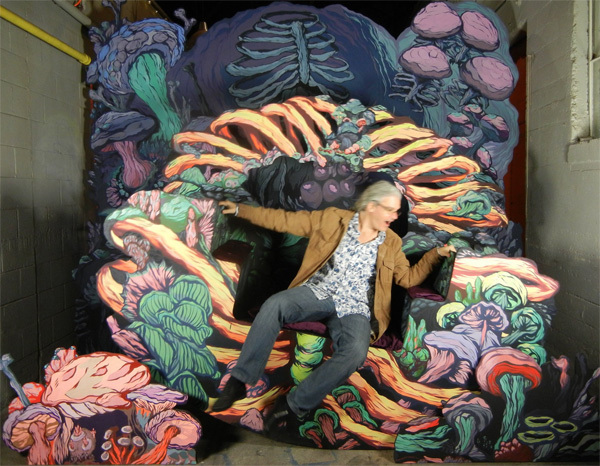 This year, Caro Buermann, Corey Helford Gallery, is co-curator of Littletopia with Red Truck Gallery. Dosshaus is the creative collaboration of Zoey Taylor and David Connelly, artists whose work blends painting, sculpture, photography, fashion, video, and performance. 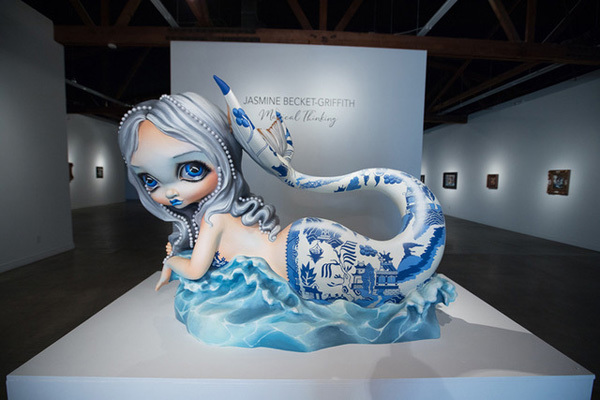 Their April, 2018 solo show at Corey Helford Gallery in Los Angeles, titled Paper-Thin Hotel, was an immersive, multi-room exhibit of cardboard sculptures centered around the theme of the American Dream. Recently, Dosshaus received the award for Outdoor Sculpture at the 2018 Lucca Biennale in Lucca, Italy. Caro Buermann is a Los Angeles based art curator and writer, specializing in Japanese contemporary art. As a curator of Corey Helford Gallery in Los Angeles, Caro helps define the gallery’s growing program of artists and has curated numerous notable exhibitions. She most recently organized a major mid-career survey of painter Hikari Shimoda for the Asahi Art Museum in Nagano, Japan. Her writing is regularly published in the contemporary art magazine, Hi-Fructose. Camille Rose Garcia was born in 1970 in Los Angeles, California. The child of a Mexican activist filmmaker father and a muralist/painter mother, she apprenticed at age 14 working on murals with her mother while growing up in the generic suburbs of Orange County, visiting Disneyland and going to punk shows with the other disenchanted youth of that era. 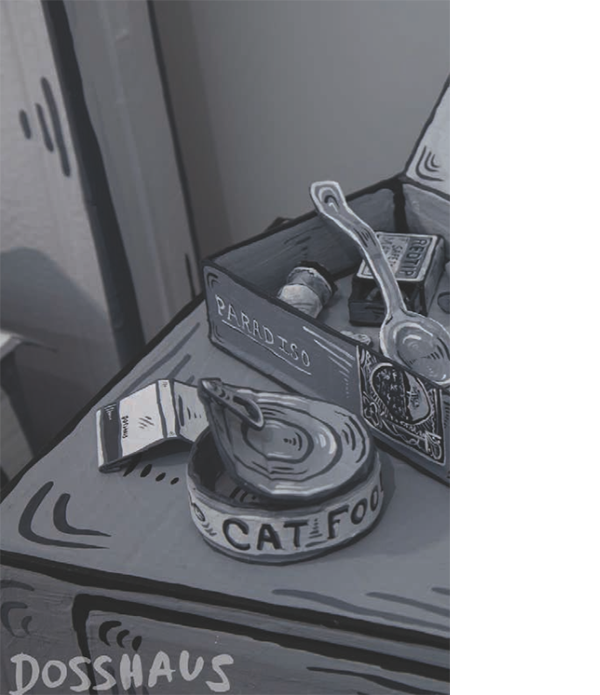 Garcia’s layered, broken narrative paintings of wasteland fairy tales are influenced by William Burroughs’ cut-up writings and surrealist film, as well as vintage Disney and Fleischer cartoons, acting as critical commentaries on the failures of capitalist utopias, blending nostalgic pop culture references with a satirical slant on modern society. Her work has been displayed internationally and featured in numerous magazines including Juxtapoz (her work has twice graced the cover), Rolling Stone, Flaunt Magazine, Nylon, Paper Magazine, The Los Angeles Times and Modern Painter, and is included in the collections of the Los Angeles County Museum of Art, The Resnick Collection, and the San Jose Museum of Art, which held a retrospective of her work, entitled “Tragic Kingdom,” accompanied by a catalog of the same name. Garcia’s recent book, The Illustrated Alice in Wonderland (published by Harper Collins,) was a New York Times Bestseller. Garcia recently moved to the Pacific Northwest after 38 years in Los Angeles. We are proud to announce that Camille Rose Garcia will be the recipient of this year’s Lifetime Achievement Award while the recipients for this year’s Collector Award are Daniel Carey and Rynne Stump. There will be an award presentation ceremony to honor all recipients. 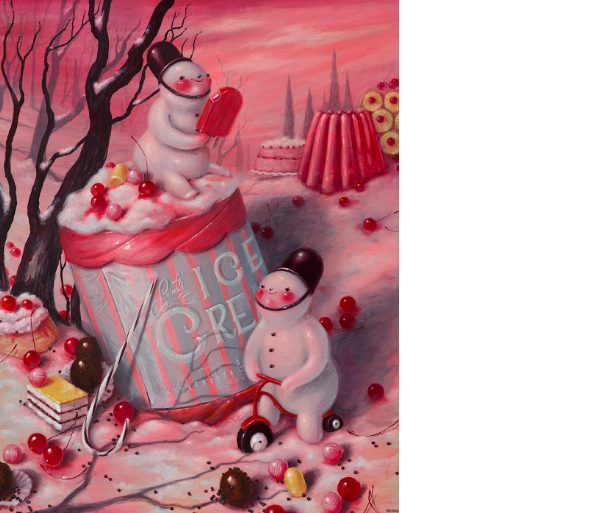 “Milk (an expression of bliss)” is based off of my painting titled “Milk” in which a gleeful little snowman has found himself a pile of cookies, a saucer of milk & cherries (for dunking) and enjoys a moment of true contentment to himself. To me a snowman represents a feeling of pure bliss and innocence. Has any snowperson ever been built from a sad, angry heart? I don’t think so. The jolly spirit in which one plays in the snow and creates a person out of that snow is the exact spirit I often aim to convey in my artwork. I want my viewers to tap into that feeling of childhood – I want them to feel warm in remembering a time when they were free to just simply be. Happy, bright, silly, joyful. 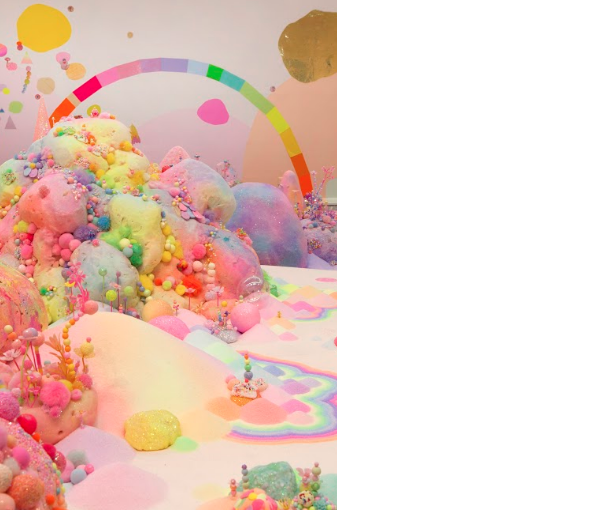 Australian artist Tanya Schultz works as Pip & Pop to create immersive installations and artworks from an eclectic range of materials including sugar, glitter, candy, plastic flowers, everyday craft materials and all sorts of objects she finds on her travels. Her practice embodies both independent and collaborative processes across varying disciplines including installation, painting, wall-works and sculpture. Often ephemeral, her meticulously constructed and highly detailed works embrace notions of abundance, utopian dreams and fleeting pleasure. She is fascinated with ideas of paradise and wish-fulfillment described in folk tales, mythologies and cinema. Pip & Pop began as a collaboration with fellow artist Nicole Andrijevic in 2007. After four years, Nicole left the partnership to pursue a different career. Tanya now works solo and with other friends and artists creating projects in many parts of the world. She has exhibited her work in Australia, Japan, Taiwan, Korea, Hong Kong, Germany, Netherlands, Mexico, the UAE and the UK. 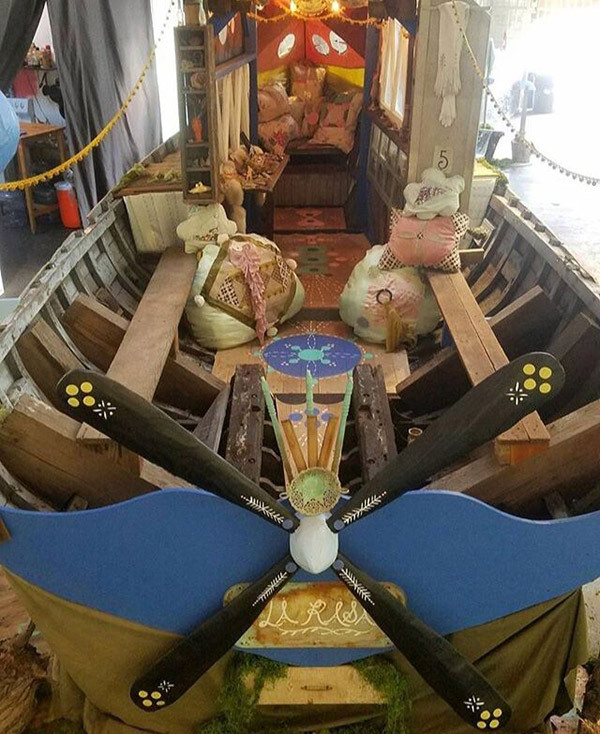 Atta’s “The Cradle of Life” is an interactive art installation depicting a decomposing but vibrant with life throne which sits two rulers. Participants sit and rock side to side, creating a pleasant rocking motion akin to a newborn in a crib. The installation, brought to you by Hi-Fructose: The New Contemporary Art magazine will also feature Attaboy (Daniel Seifert’s recent work which features sculptural paintings on levels of layered wood which investigate them of death, decomposition and rebirth. Renowned visual artist Dennis McNett will be building the Littletopia Archway at this year’s LA Art Show. Dennis McNett graduated from Pratt institute with an MFA degree in 2004, where he taught until 2012. He has shown internationally including The Victoria and Albert Museum in London, Me Collection Museum in Berlin, MOHS exhibit in Copenhagen, Galleria Patricia Armocida, Milano, Italy, and nationally including The Ft. Wayne Museum of Art, Museum of Print History, Houston, TX, Museum of Contemporary Art, Jacksonville, FL, and Jonathan LeVine Gallery, NYC, Known Gallery, LA. He has been interviewed and featured by the New York Times, Juxtapoz Magazine, NPR, the Houston Chronicle and other notable sources. With Margaret, it’s all about the EYES, and the world has come to love her beautiful creations. It may be her ‘BIG EYES’ which are large and round, or her stylish oval and somewhat elongated style, which she often uses on older females. Throughout her career, she has featured both styles on many different nationalities, and they all work. What she does is absolutely amazing, and we love it. 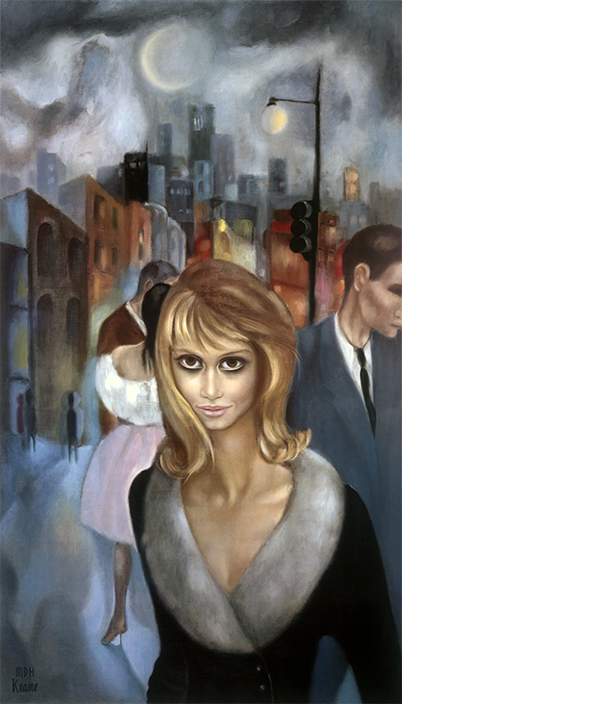 We are proud to announce that Margaret Keane will be the recipient of this year’s Lifetime Achievement Award, and excited that she will attend the ceremony to personally accept the award. Bunnie ‘Bonnie’ Reiss was born in Maryland, but raised mostly with the wide-blue sky’s of Colorado. Having come from a large Polish/Russian family, eating, loud talking and community shaped her life. She was a tiny rebel with a large imagination, knowing at a young age that she quite didn’t fit in and the world was a much bigger place than quiet suburban landscape that seemed to endlessly surround her. I have been visiting third-world slums extensively, from my first quick snapshots of shanties on a Calcutta city tour in 1983, through two-years living in poverty in the Peace Corps in Asia, to a month-long artist residency in 2017 where I built a Disneyland Castle façade on slum shacks in Mumbai. Inspired by the sensory assault of slums and their surrounding filth (open sewers, landfills and lots of flies), I create “Too Realist” work that I juxtapose with popular icons of Western Culture, most often from Disneyland, near where I live and work in California. For this year’s LA Art Show, I am playing on the decomposing iconic Hollywood sign.